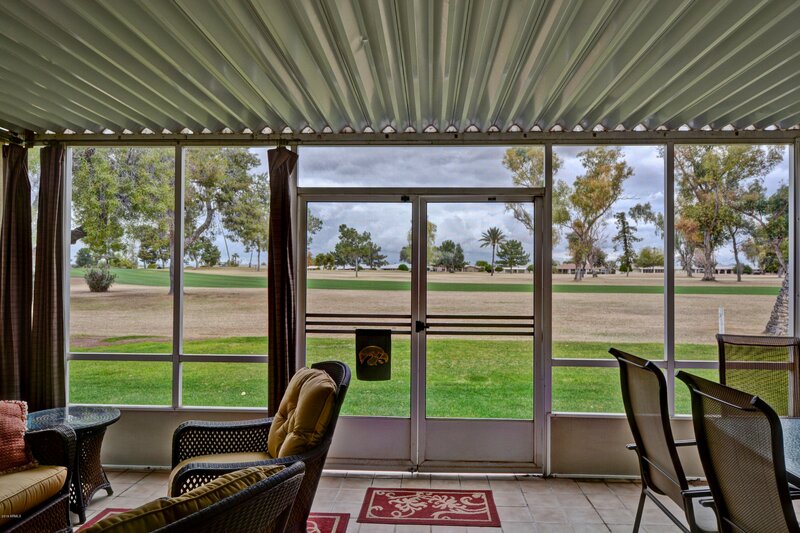 WONDERFUL GEMINI/TWIN ON THE 2ND HOLE OF PALMBROOK COUNTY CLUB OVER LOOKING A DOUBLE FAIRWAY AND MOUNTAIN VIEWS. 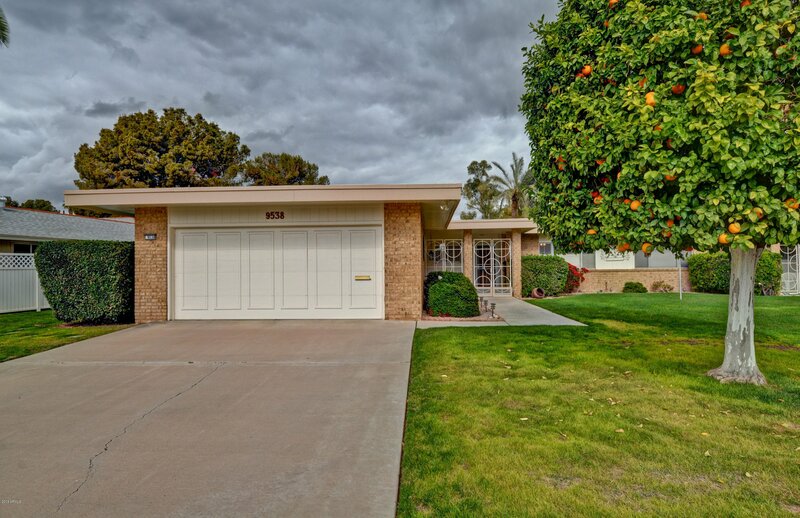 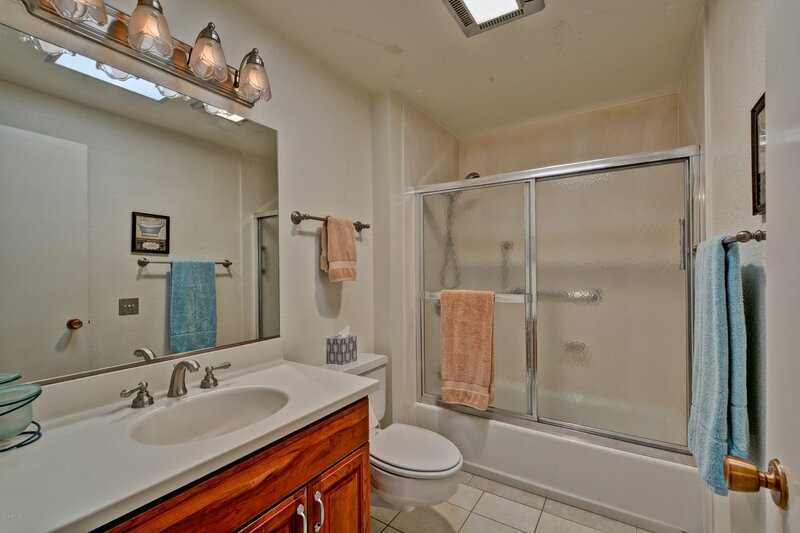 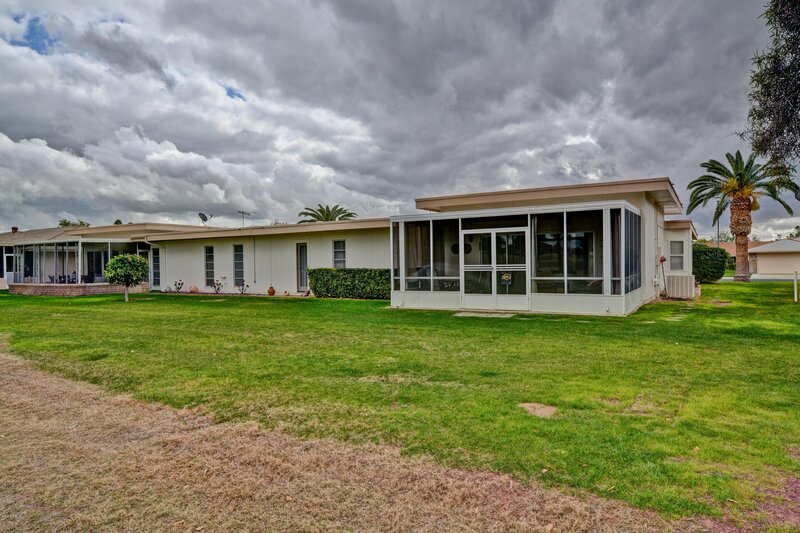 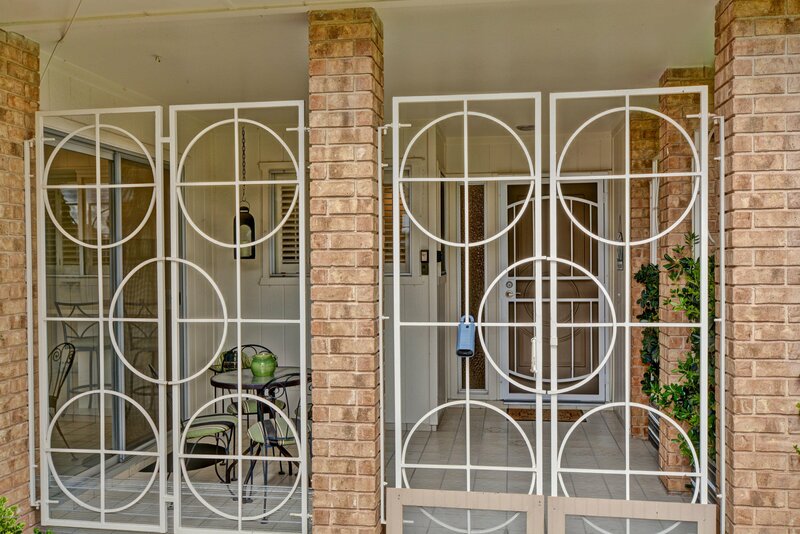 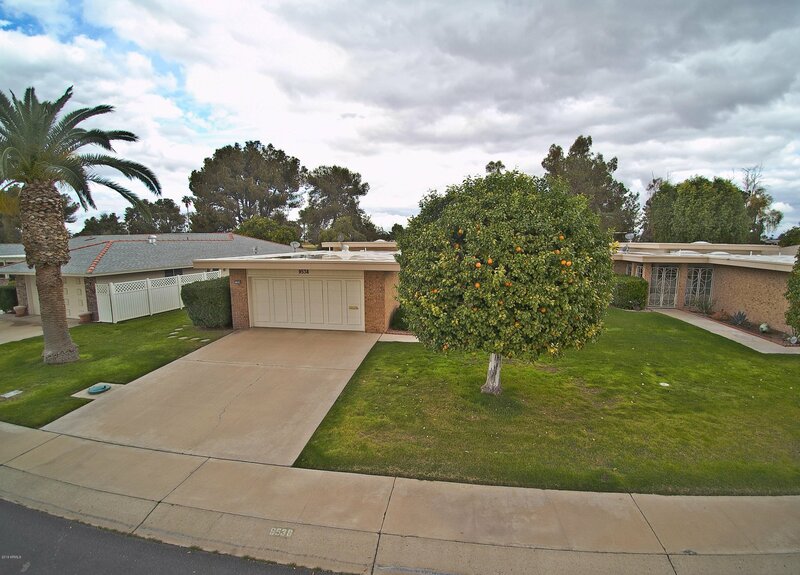 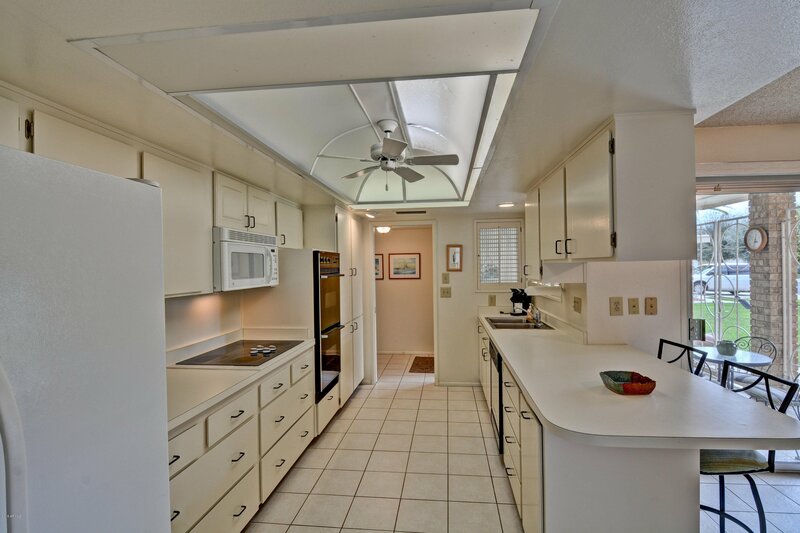 THIS HOME FEATURES; 2 BEDROOMS, 2 BATHS, 1658 SQ.FT., WITH A 2 CAR GARAGE. 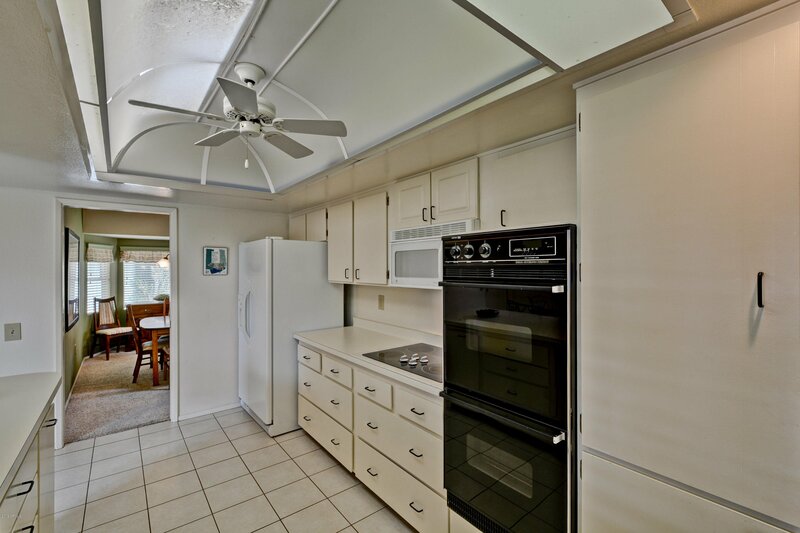 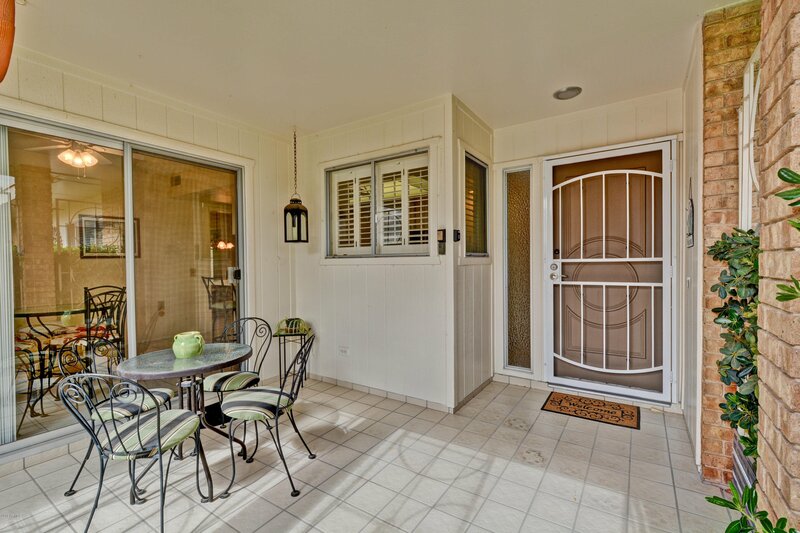 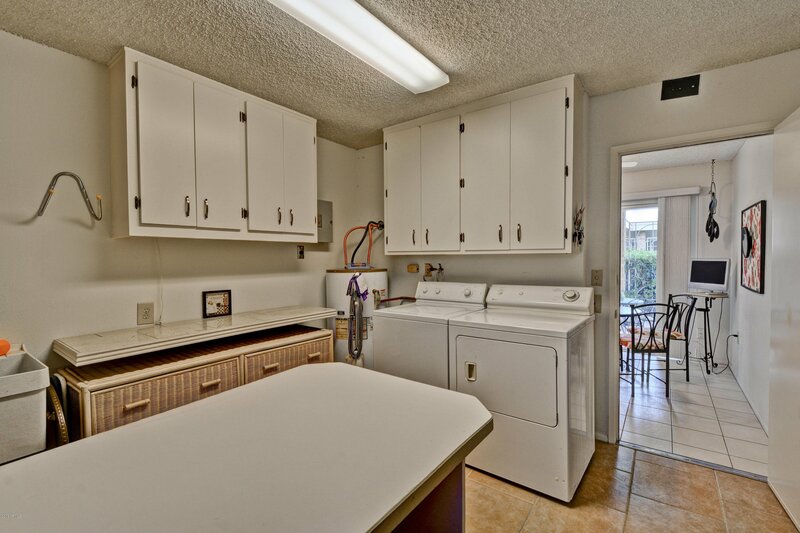 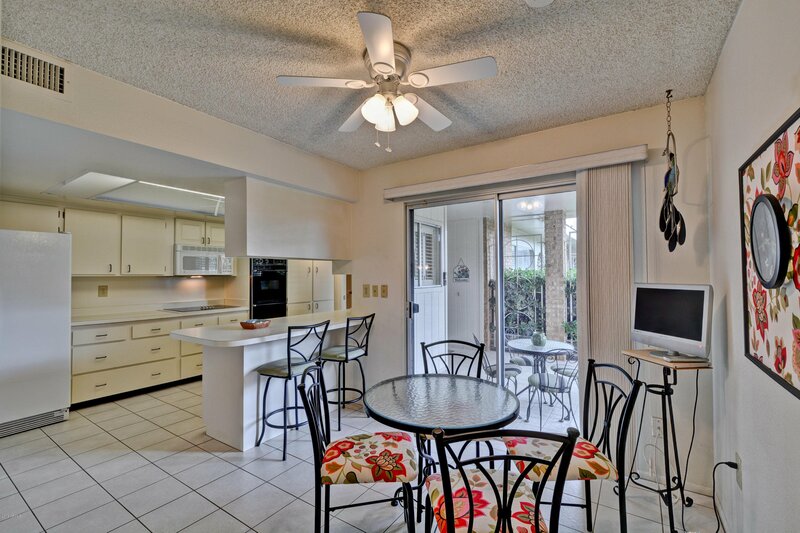 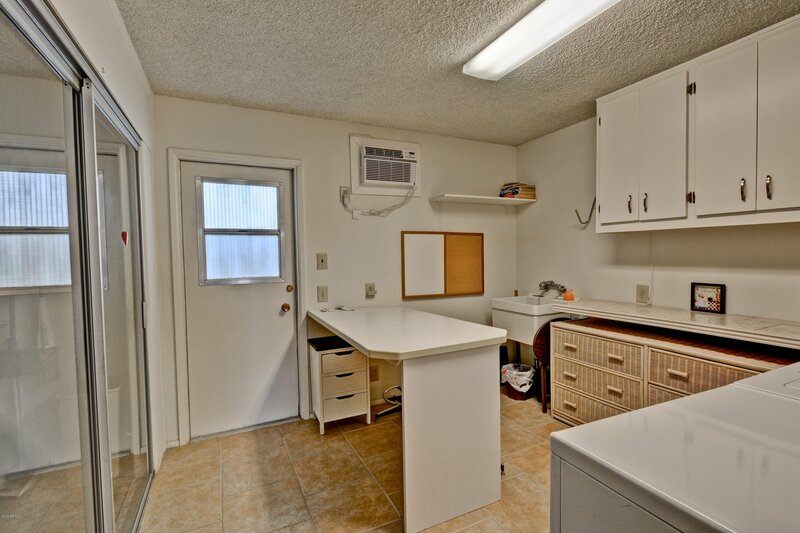 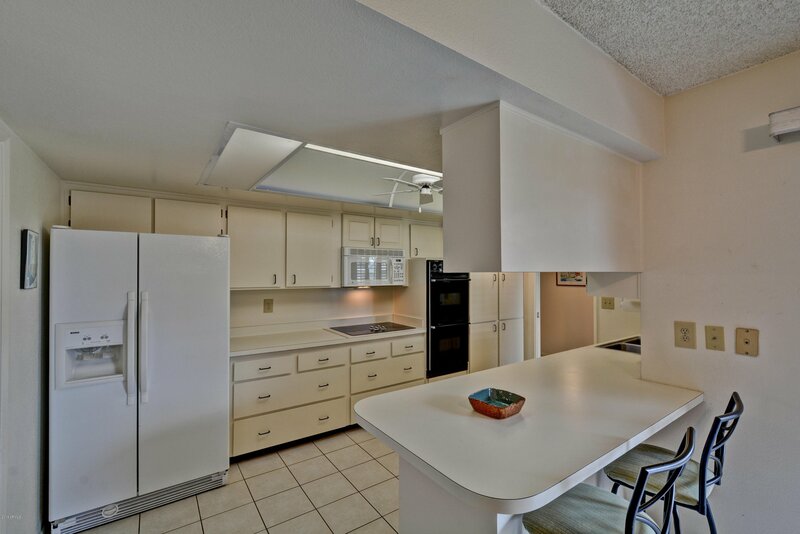 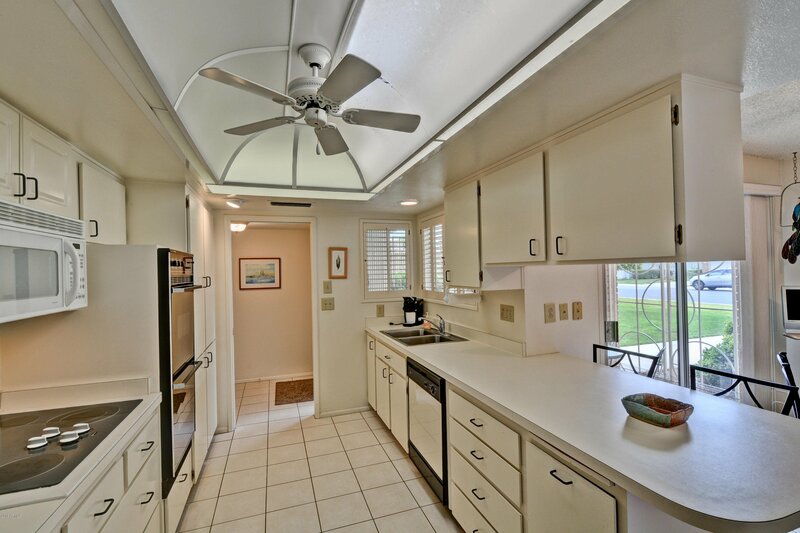 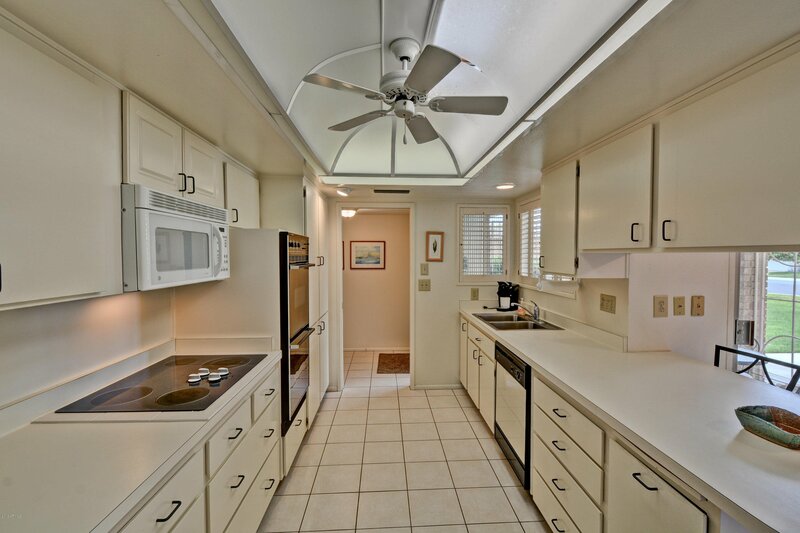 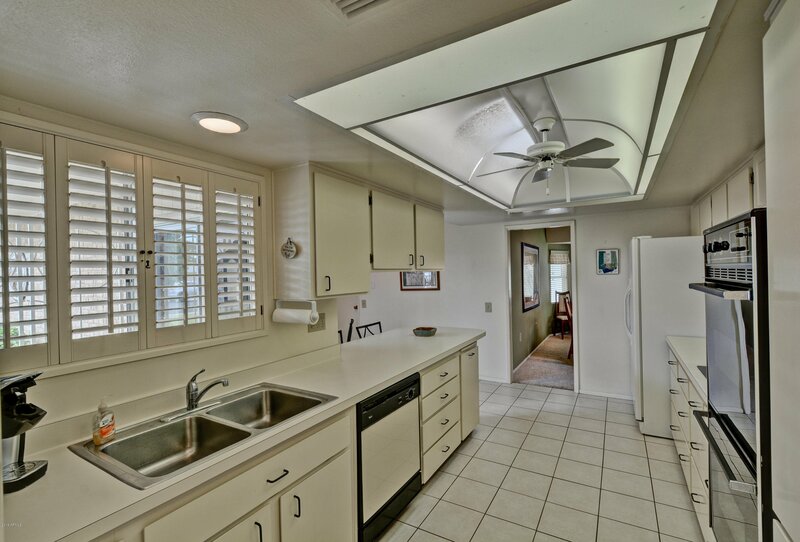 NICE GALLEY KITCHEN WITH A GREAT BREAKFAST AREA AND A DOOR OUT TO YOUR LARGE ENCLOSED LAUNDRY/HOBBY ROOM. 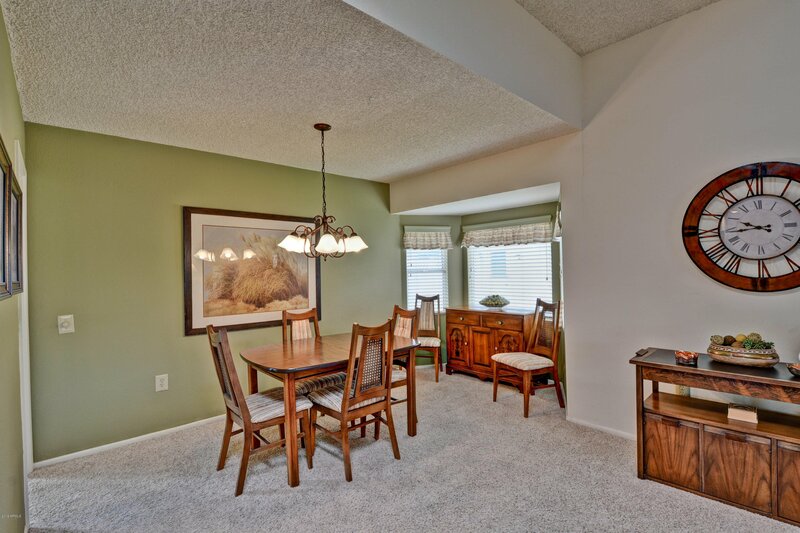 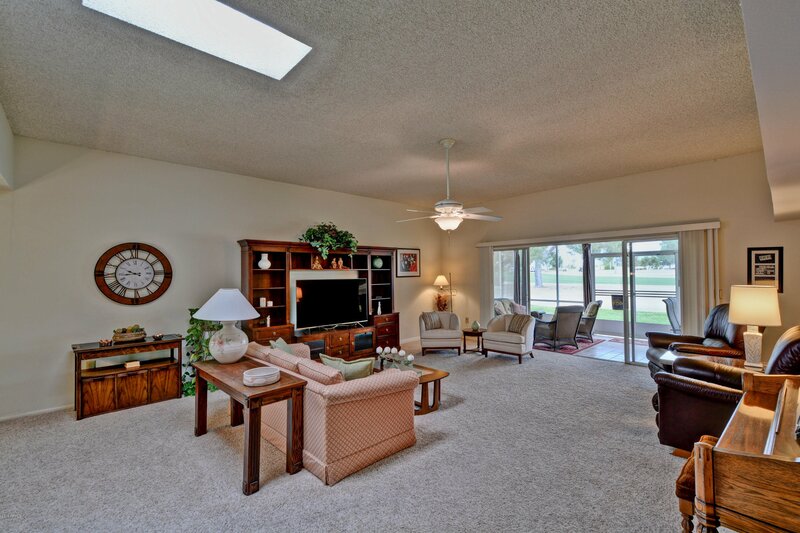 DINING AREA HAS A NICE BAY WINDOW AND IS OPEN TO YOUR LARGE SPACIOUS LIVING ROOM WITH 12 FOOT CEILING. 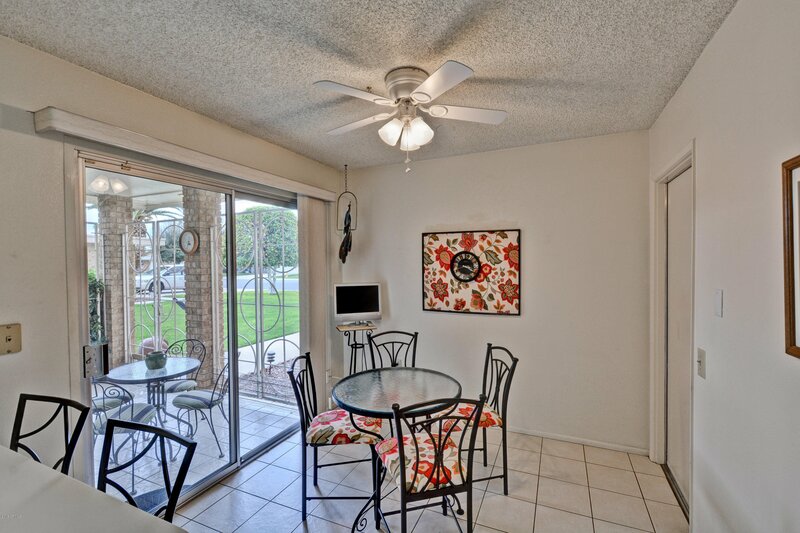 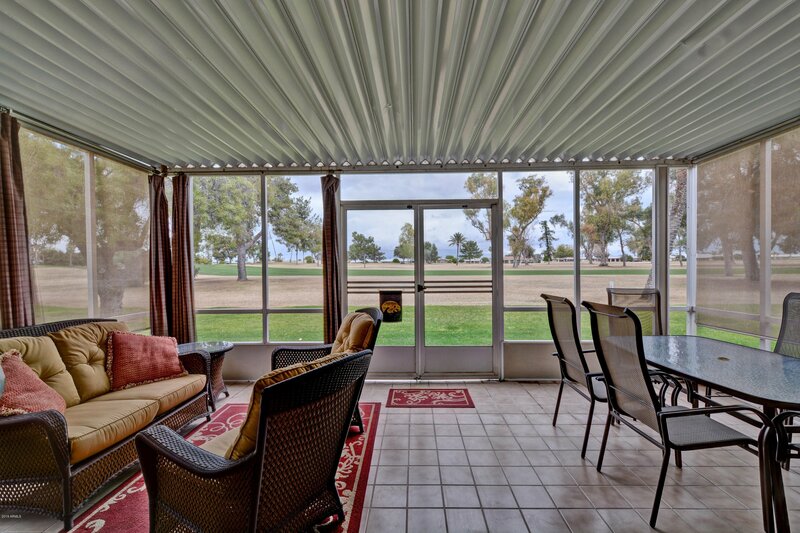 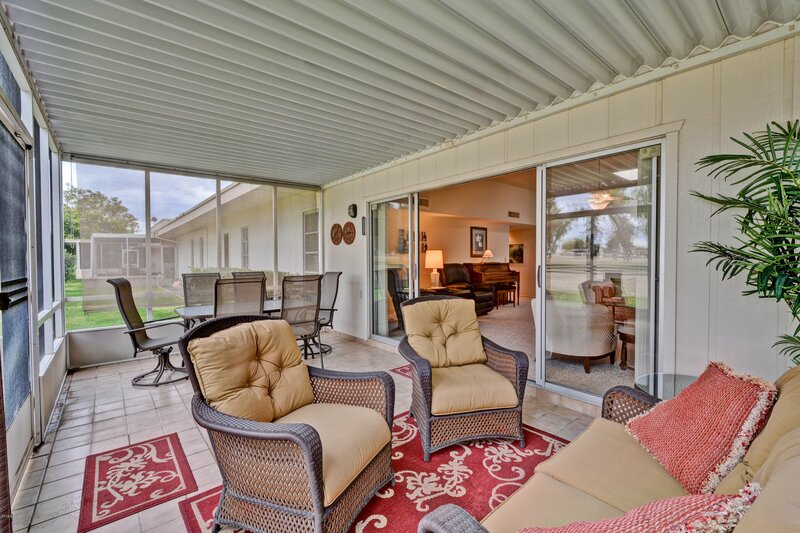 THERE ARE WINDOWS AND A SLIDING GLASS DOOR OFF THE BACK OF THE LIVING ROOM THAT TAKES YOU OUT TO YOUR WONDERFUL SCREENED IN, TILED PATIO AND FABULOUS VIEWS. 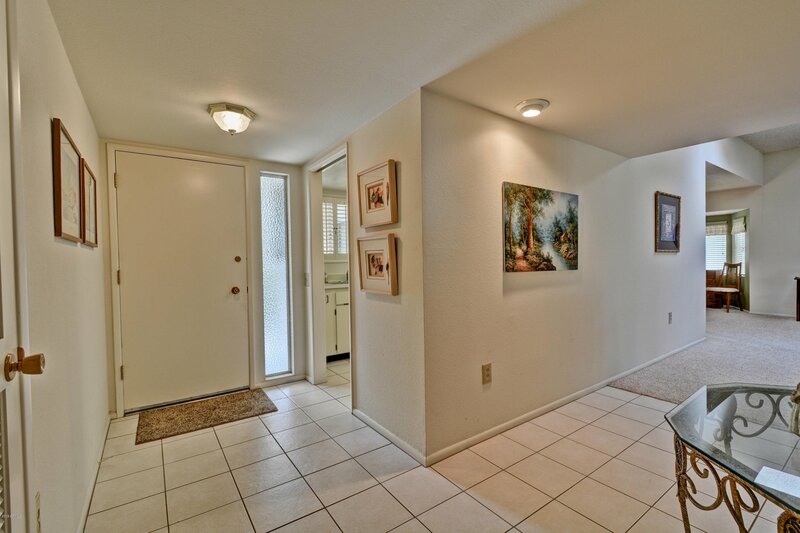 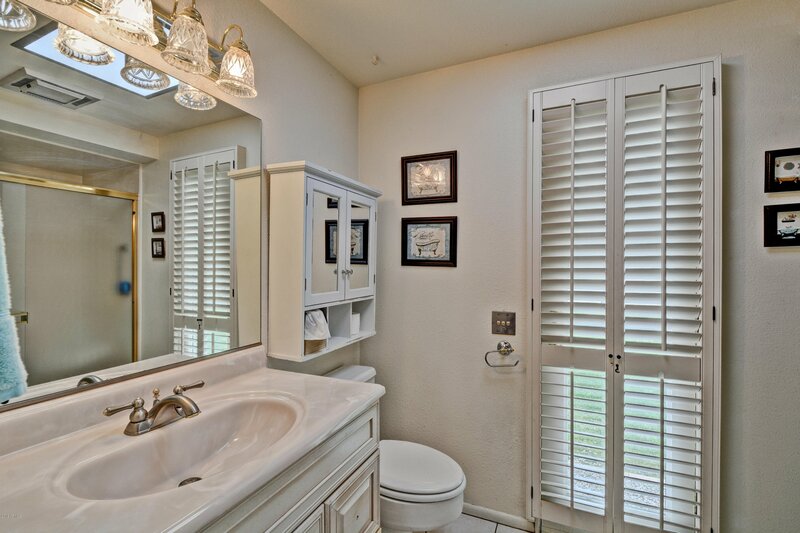 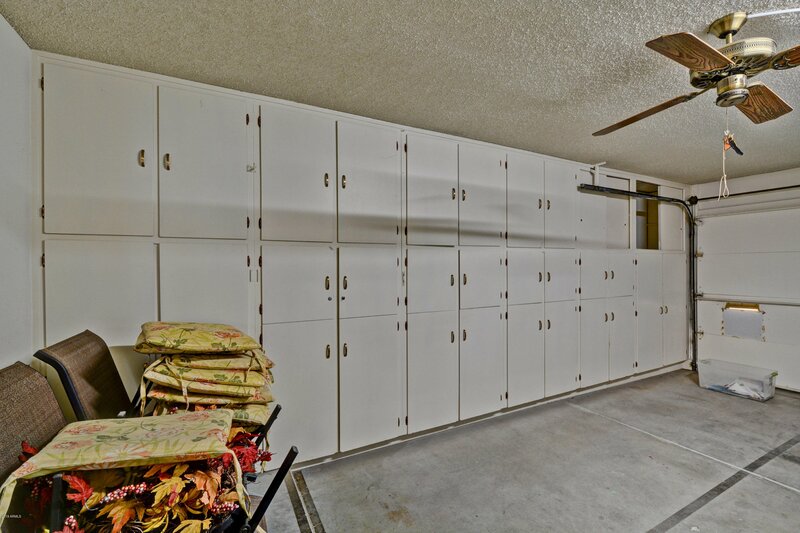 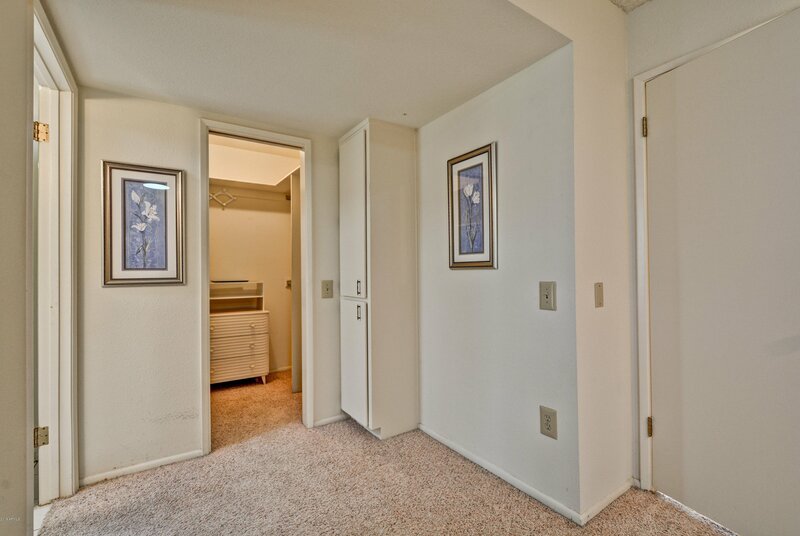 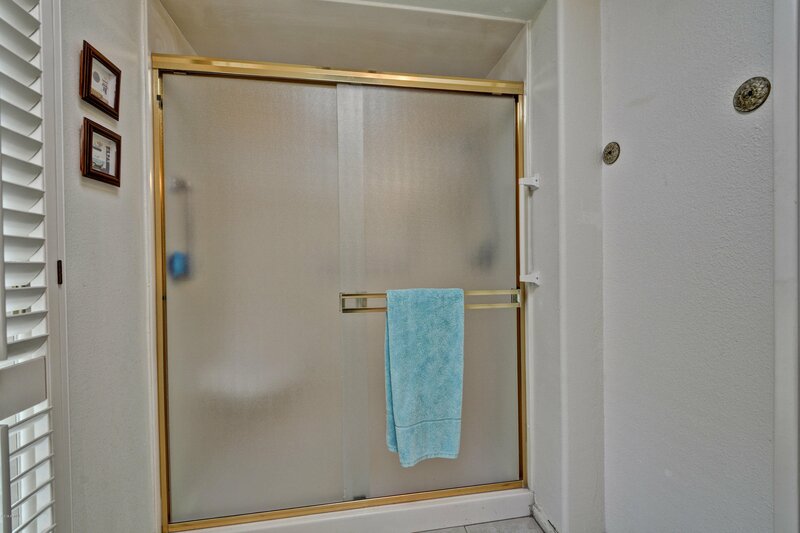 YOU WILL ENJOY THE NICE LARGE STORAGE CLOSET IN THE FRONT HALLWAY. 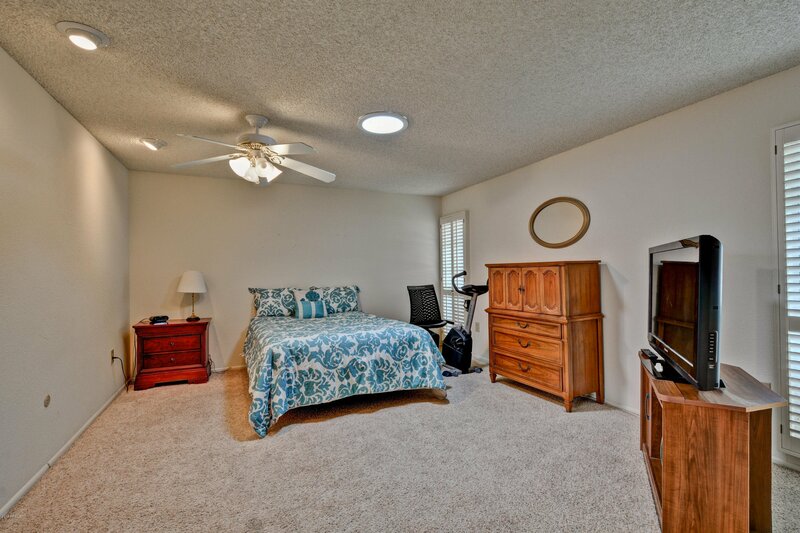 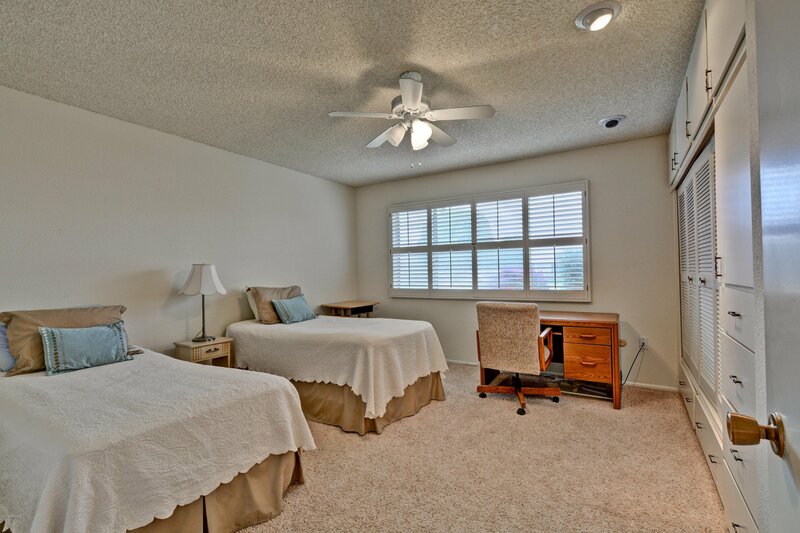 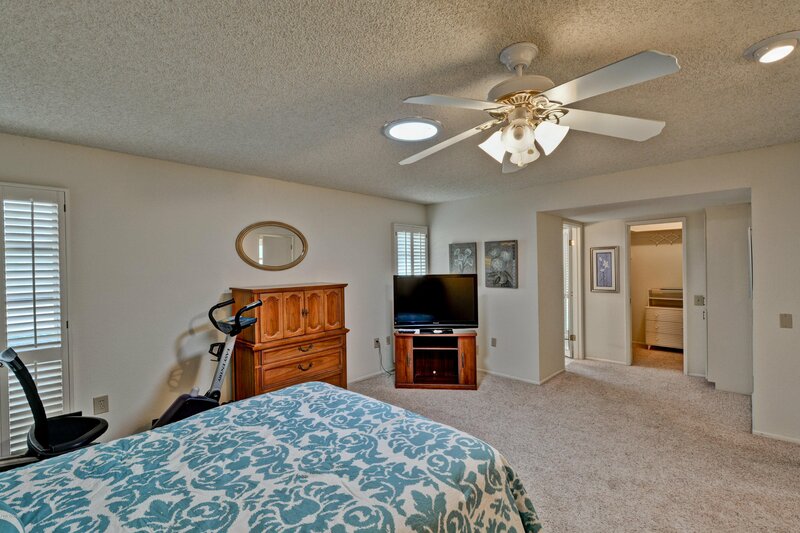 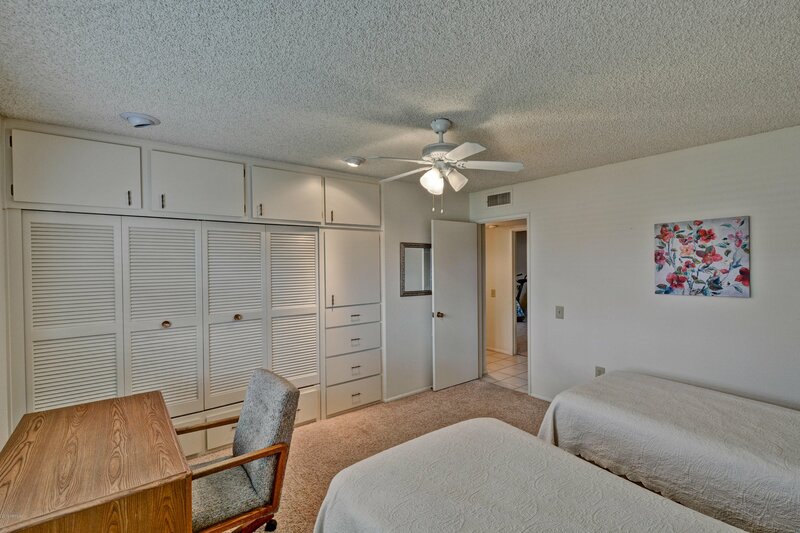 GOOD SIZE MASTER BEDROOM WITH A WALK-IN CLOSET AND GUEST BEDROOM HAS A BUILT IN CLOSET WITH LOTS OF STORAGE. 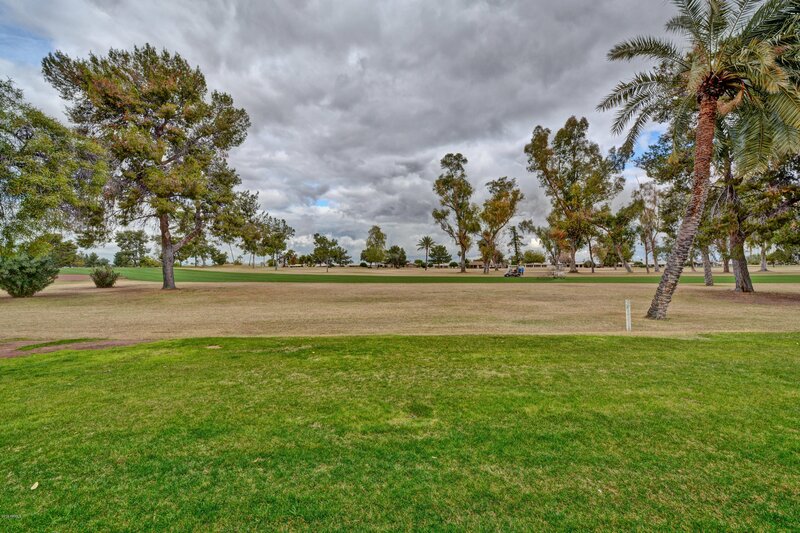 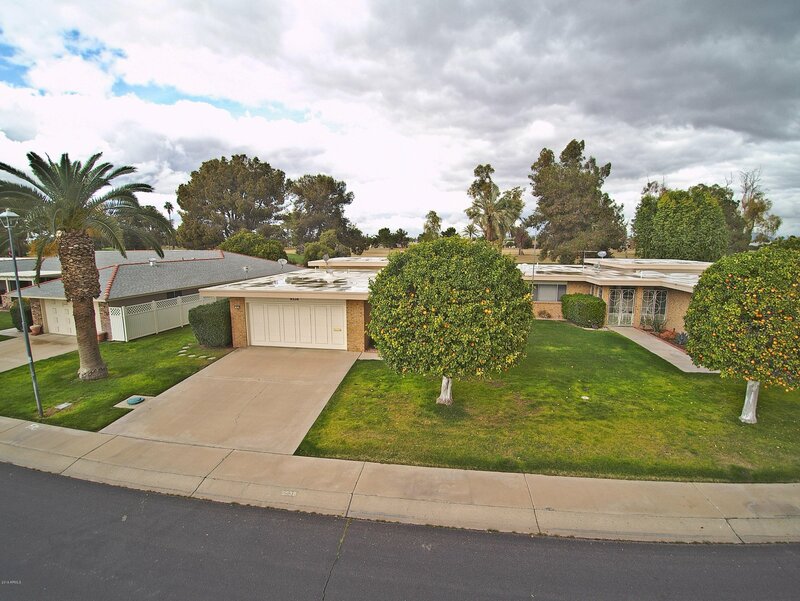 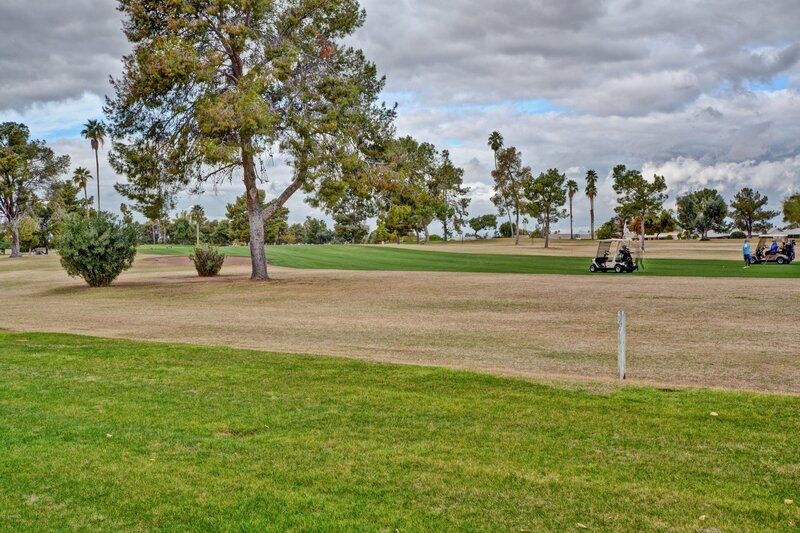 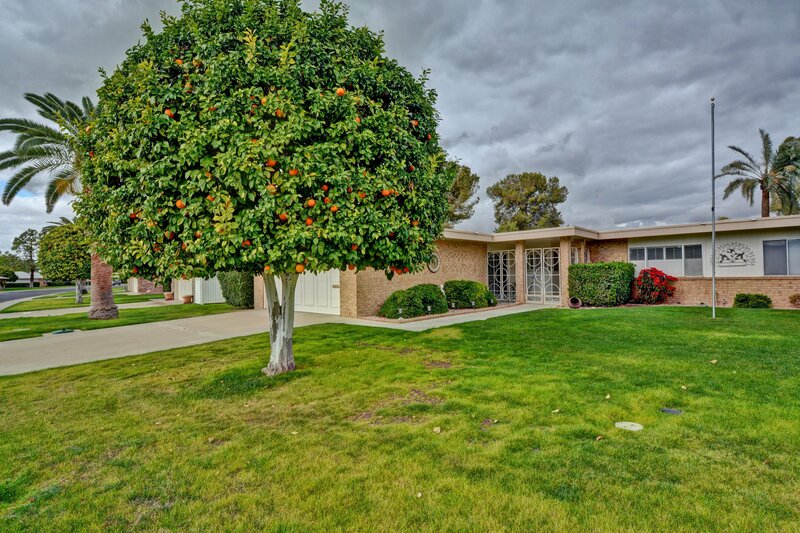 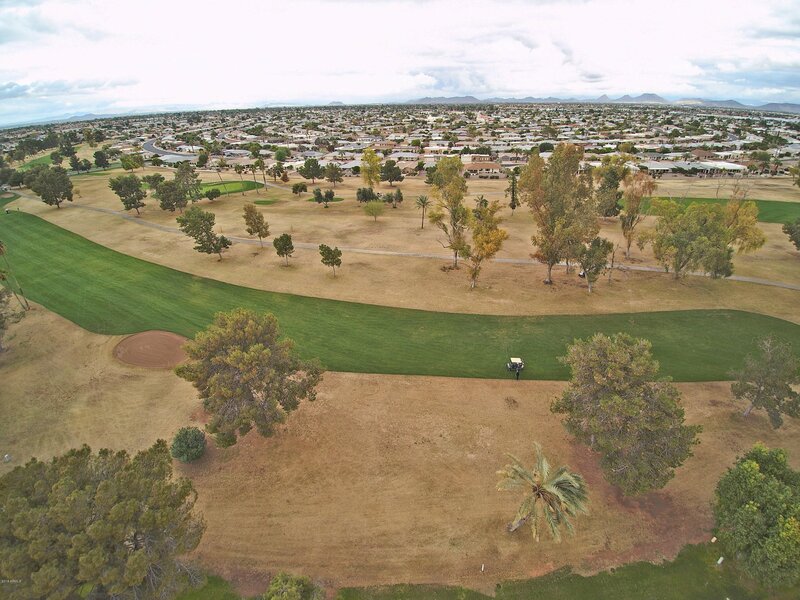 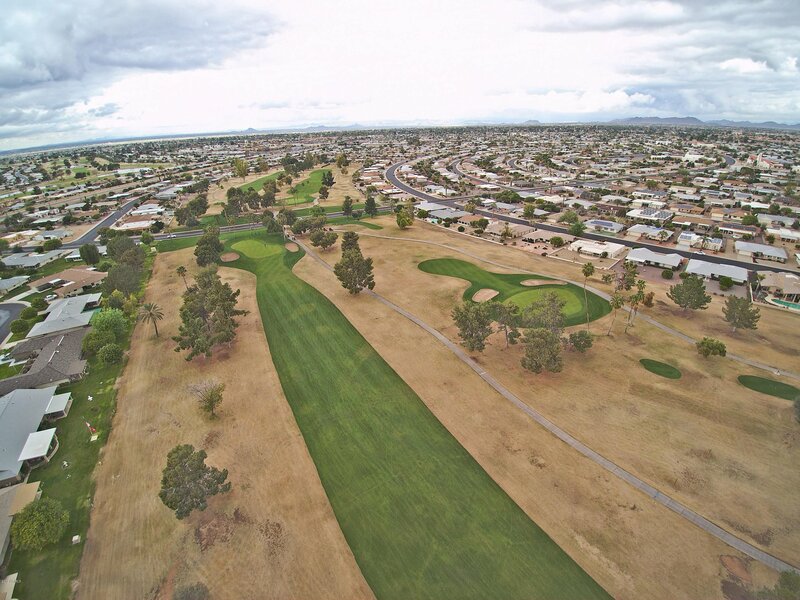 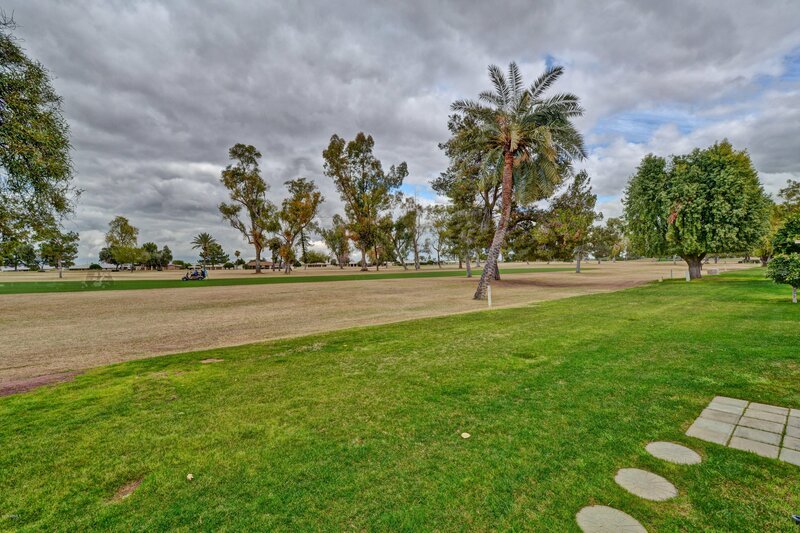 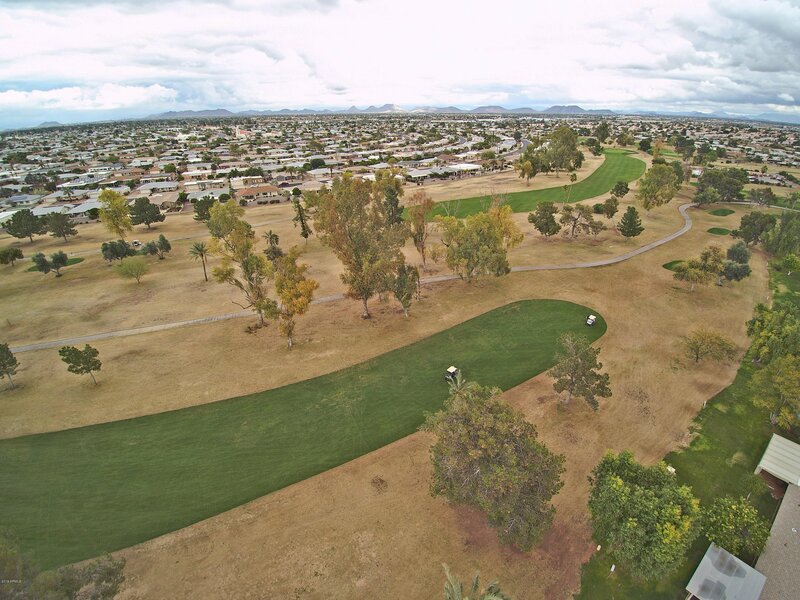 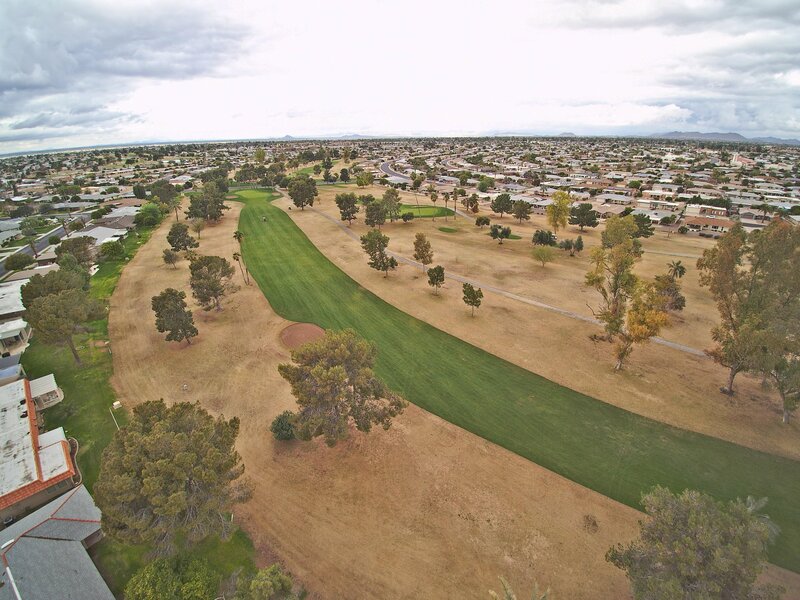 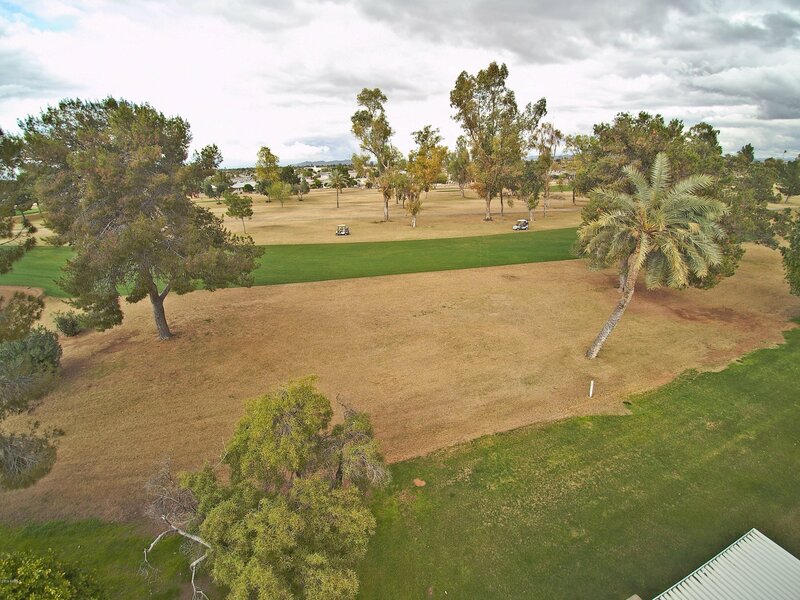 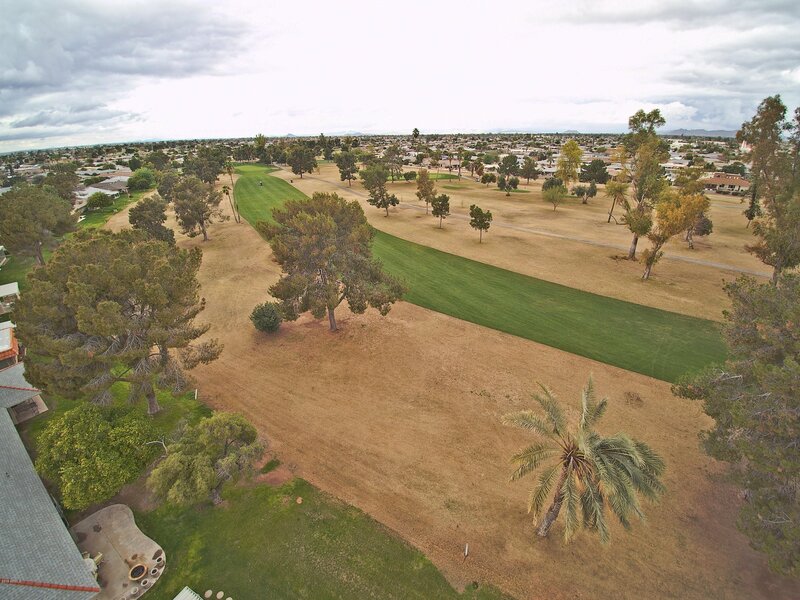 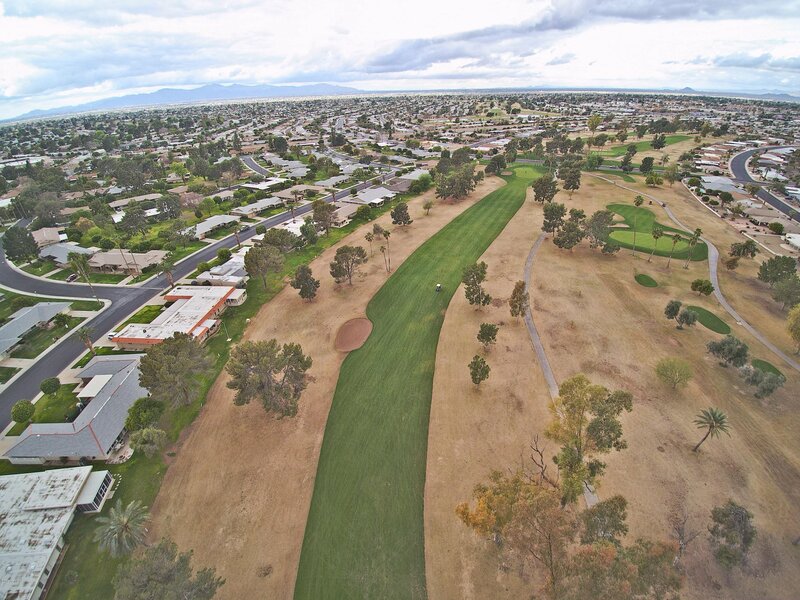 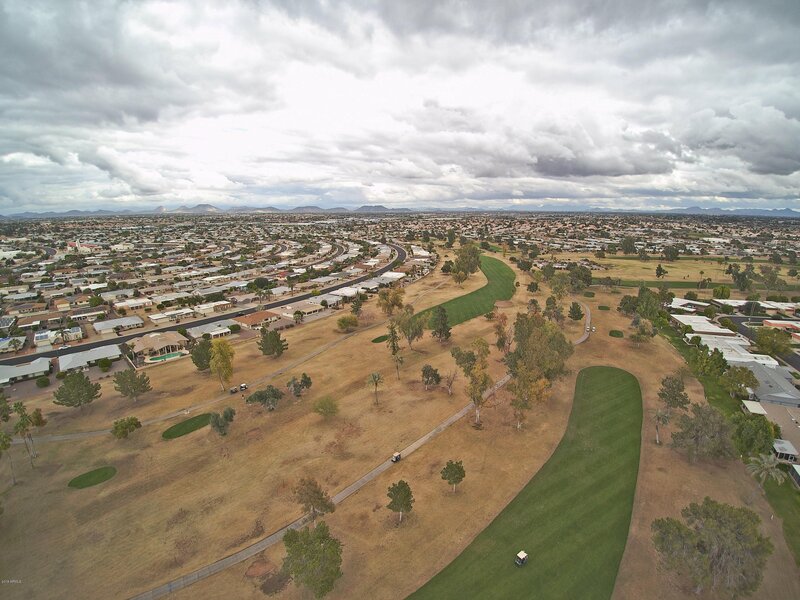 Listing courtesy of Tempus West Valley Realty. 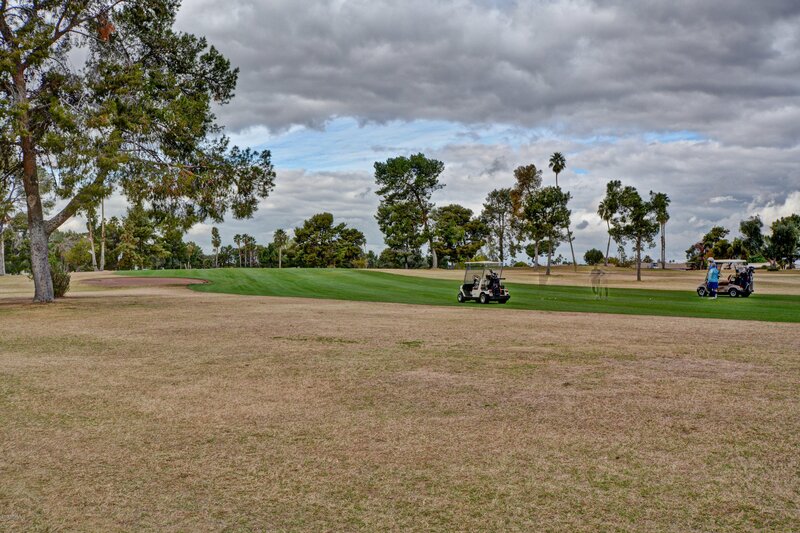 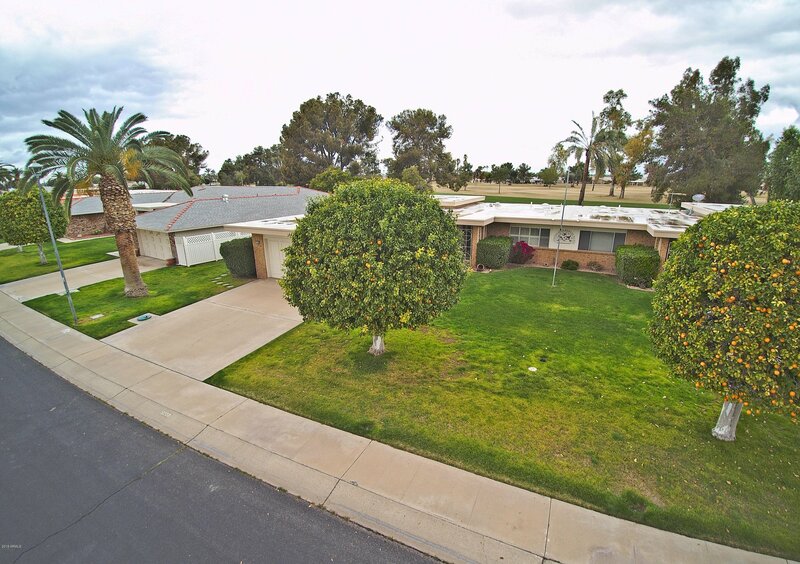 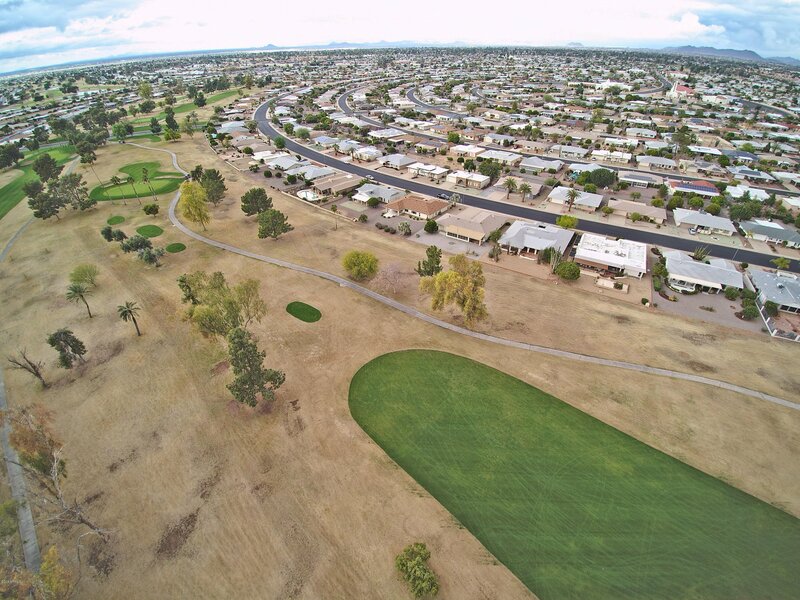 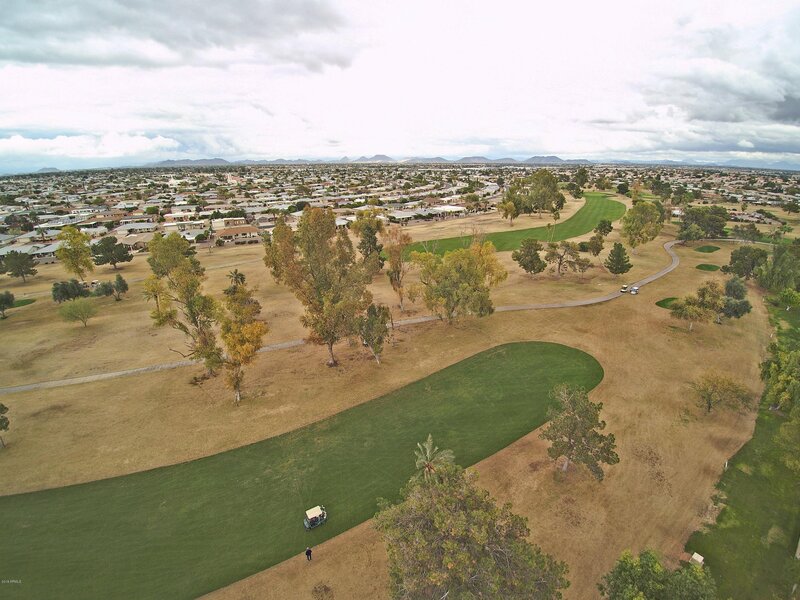 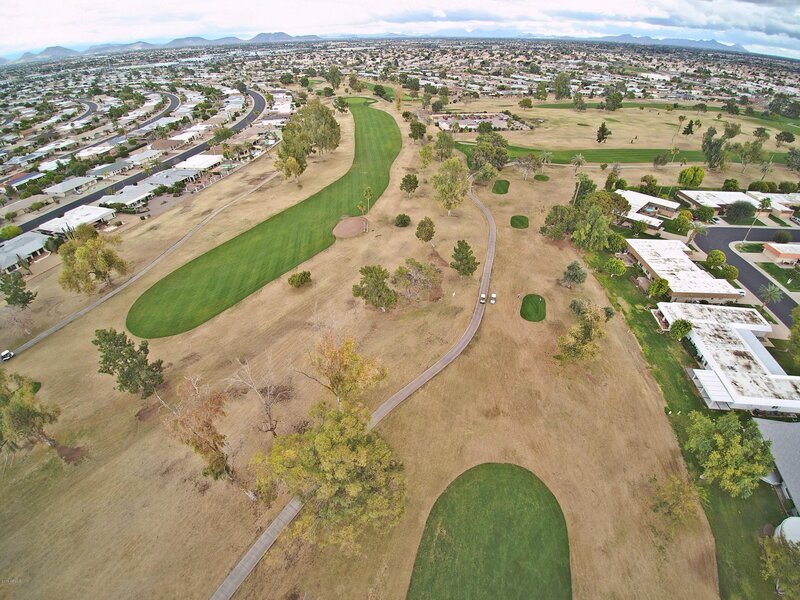 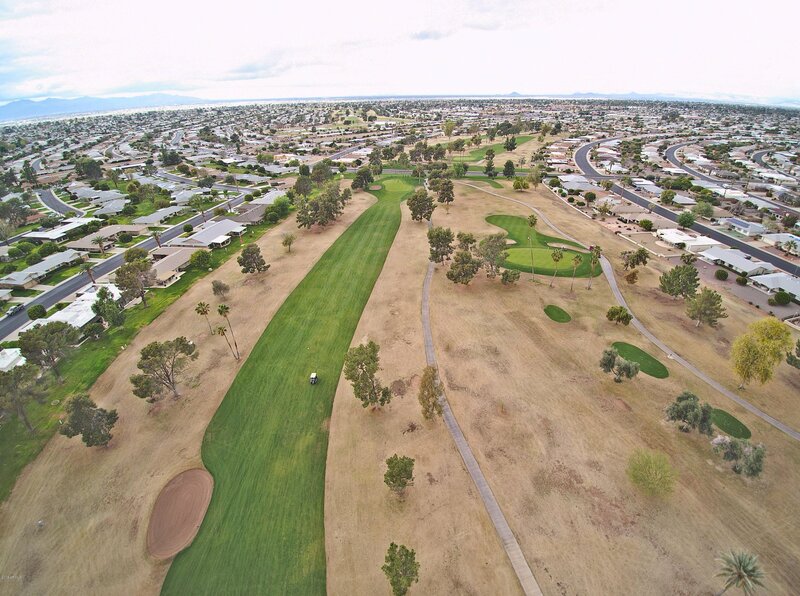 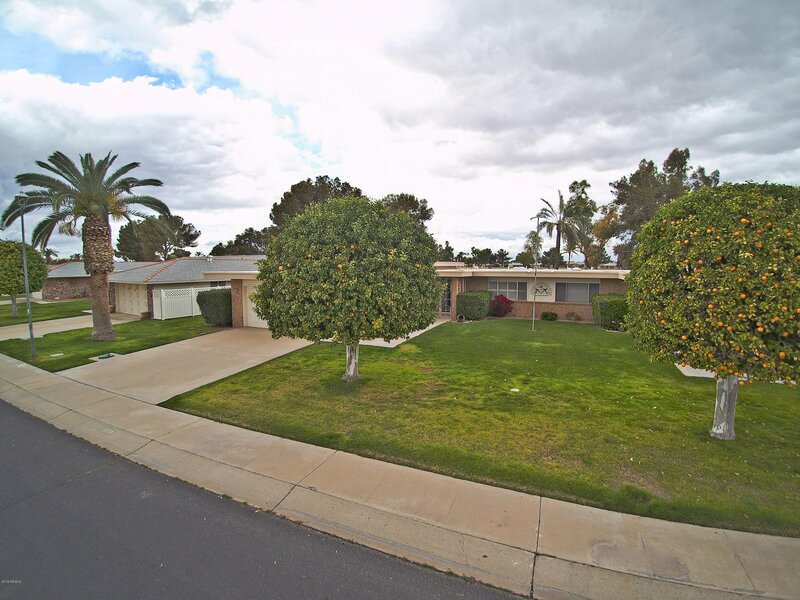 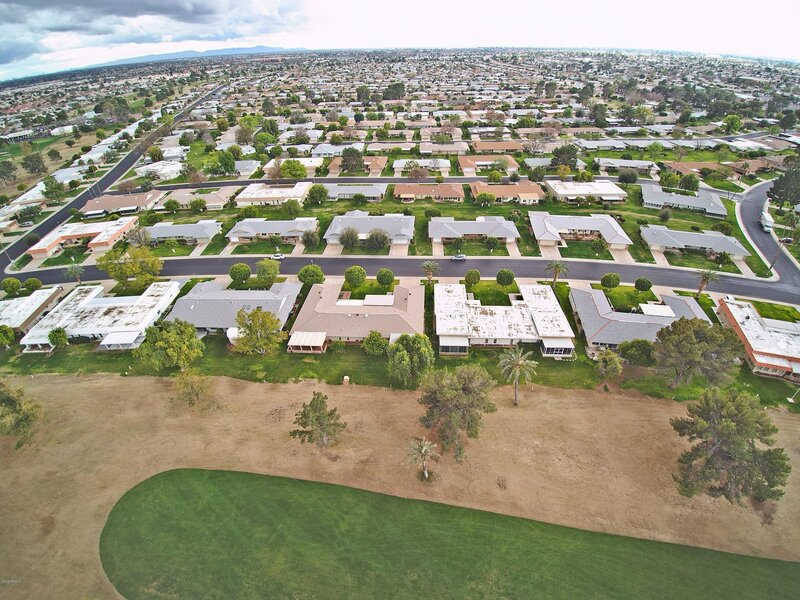 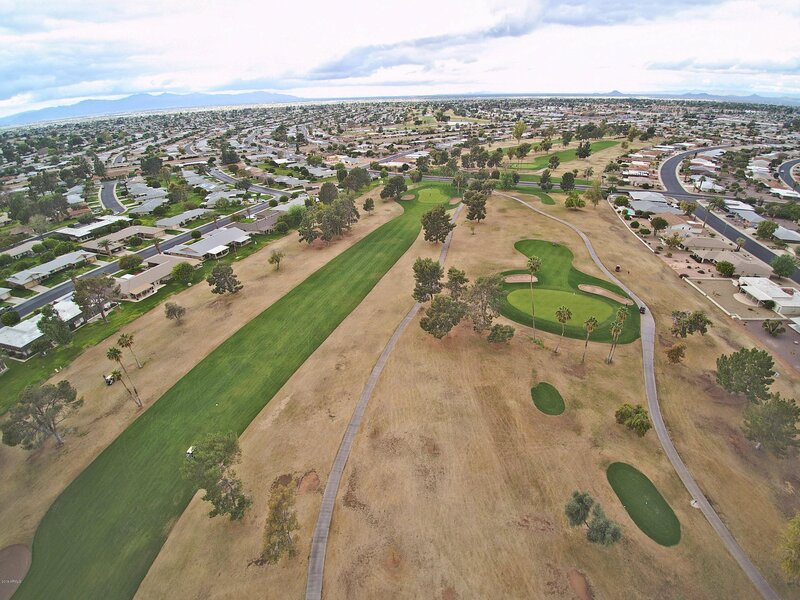 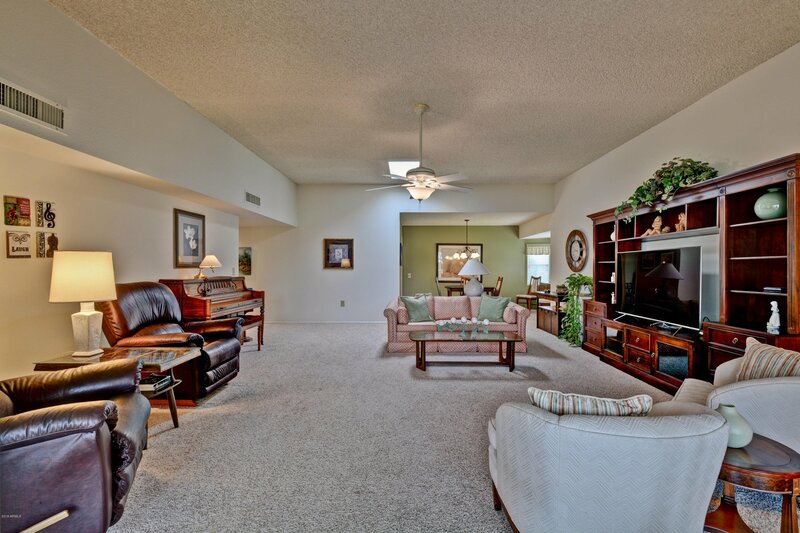 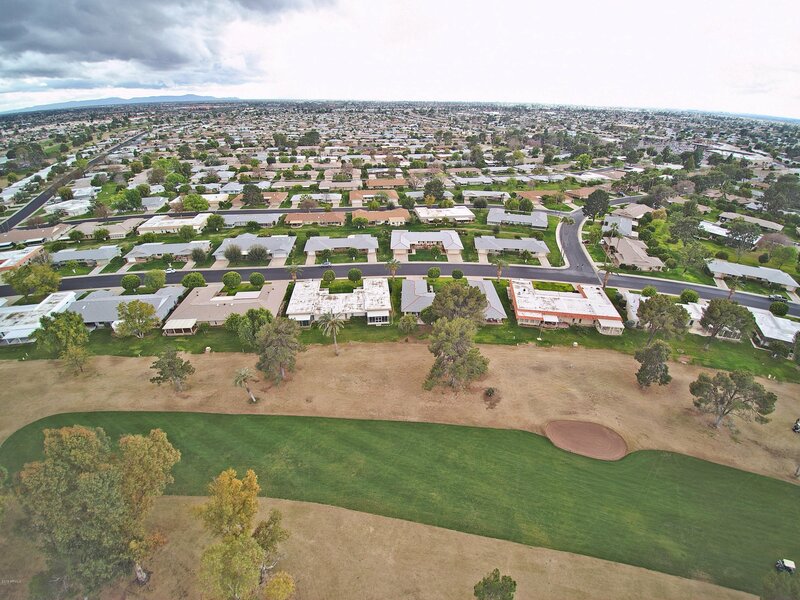 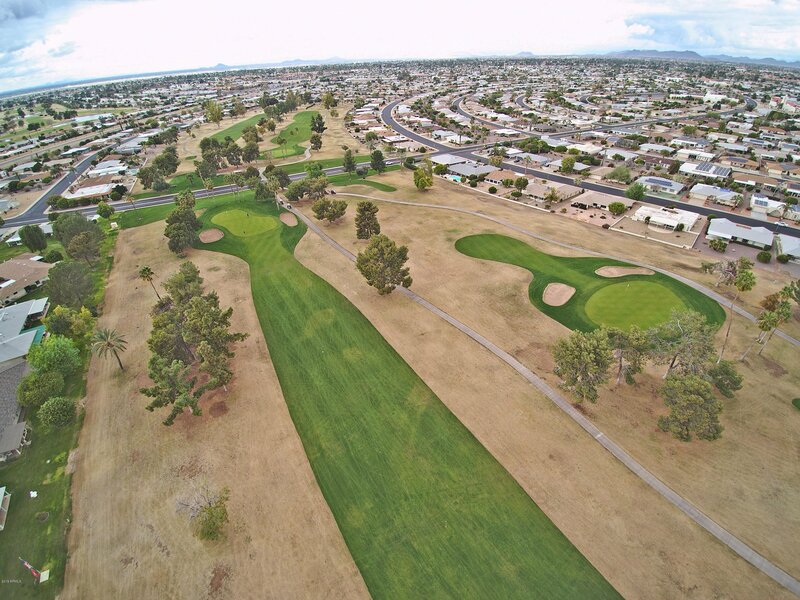 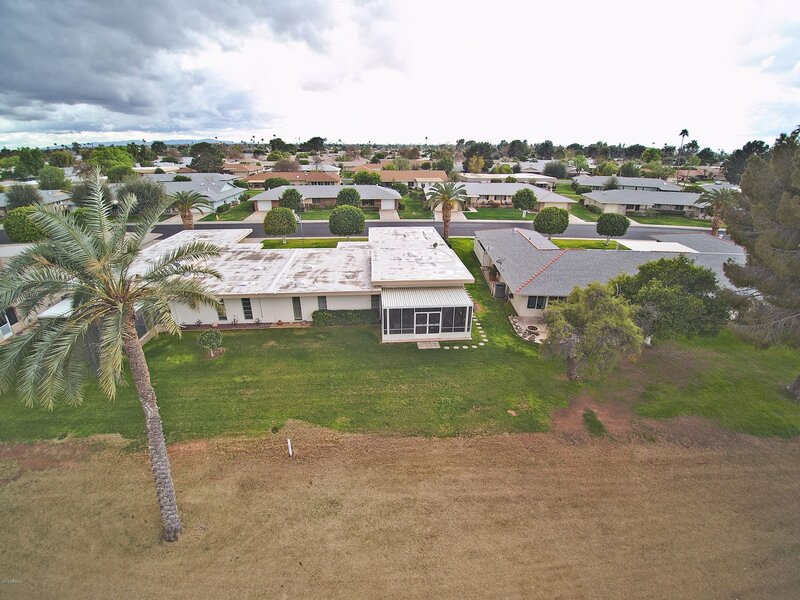 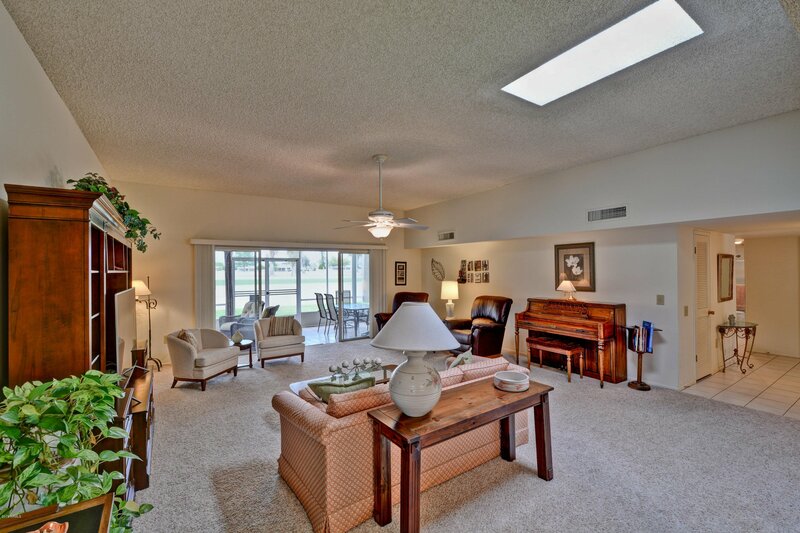 Selling Office: Berkshire Hathaway HomeServices Arizona Properties.